Forgive the terrible pun but I’ve been listening to a song that has just brought back wonderfully wistful memories of the sepia tinged days of my youth. Hey, lets’s be honest, they weren’t always great times but I can now look at them with a kind of indulgent fondness. So, what has me yearning for the days when vinyl was the only format and I used to wear my brother’s hand-me-downs and my Mum was West Hill’s most eminent knitter? The new single (single? remember them?) from East Yorkshire’s Sleeperman, that is the catalyst. Bleach Blonde Pharmacist comes in a superb cardboard 45rpm single style cover and the CD even looks like a 7″ single, replete with ‘B’ side! The band will release a new single on the fourth of each month throughout 2018 culminating in theirChristmas single in December. 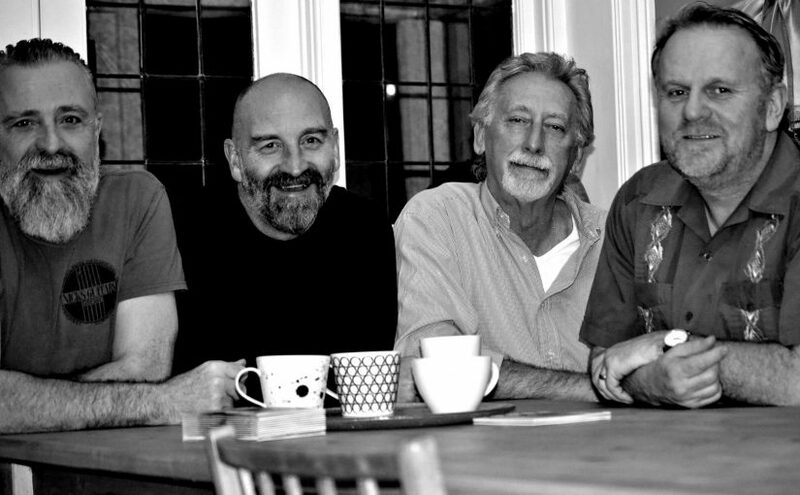 Bass player Steve Skinner, guitarist Neil Scott and singer/poet John Hilton, joined by new drummer Phil Sharp are from a generation brought up to pick the bones from a confusing diet of Clint Eastwood and Germaine Greer. They have a collective soft spot for a well-made sandwich and Nordic Noir and though sandals are not a compulsory item of their dress code they are fond of and cling to the notion of everyone getting along. 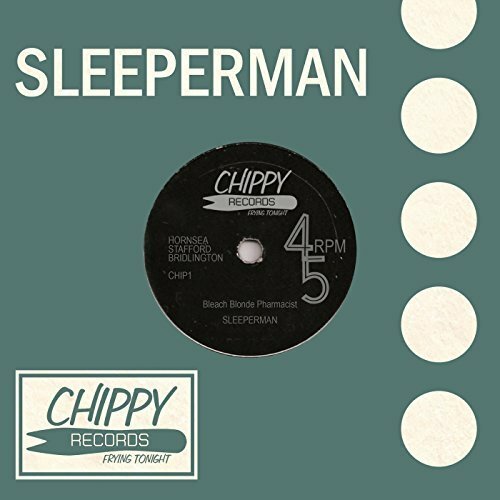 And that’s just a smidgeon of the lyrical genius that Sleeperman impart, the wry observations come thick and fast, at all times backed by the stylish music. The ‘B’ side (if we call it that) is a totally different beast, the flippancy is nowhere to be seen on as the opening notes to Sleep play out. Hilton’s vocal takes on a wistful tone and the music takes on a laid back sentiment. Laid back, relaxed and carefree, the nostalgia and humour have a much gentler air. A bittersweet feeling piece of music that seems to yearn for times gone by, I nod my head in quiet appreciation as it comes to a close. Following on from last year’s E.P. 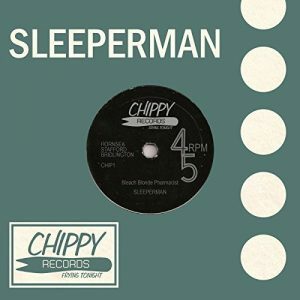 ‘Late Onset Optimism’, Sleeperman have once again delivered a wonderful eight minutes of music that delivers on a personal and honest level. You feel yourself sympathising with the characters in the songs because you know, if not for the grace of God, it could have been you. Surely that is what great songs are all about!